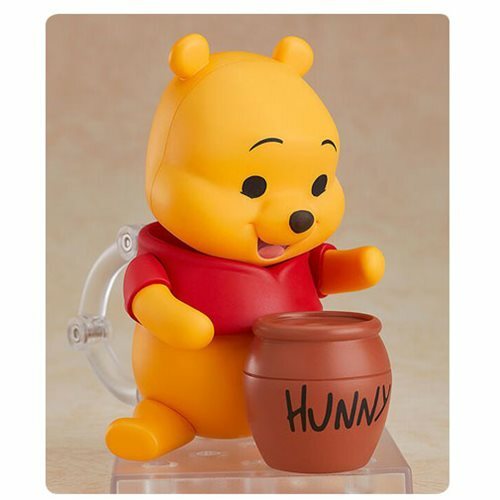 The honey-loving Winnie the Pooh is joining the Nendoroids! 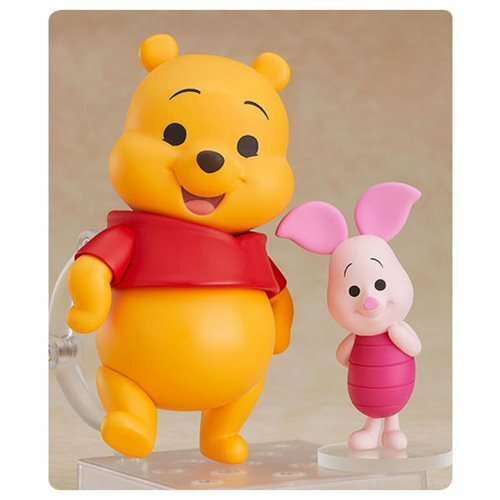 From the 2011 movie Winnie the Pooh comes the Winnie the Pooh and Piglet Nendoroid Action Figure Set! 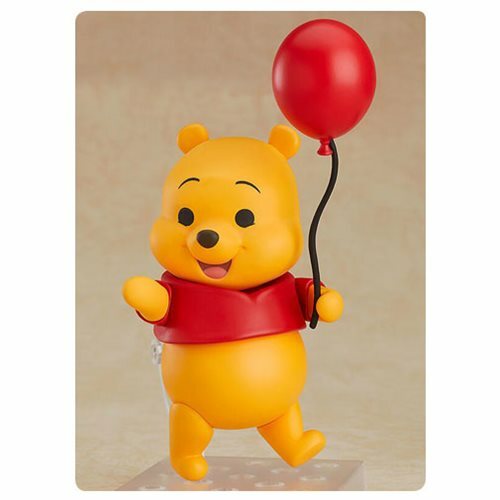 The Pooh figure features movable joints in the arms and legs, allowing for various different display options, such as posing him sitting down and eating honey or holding a balloon. 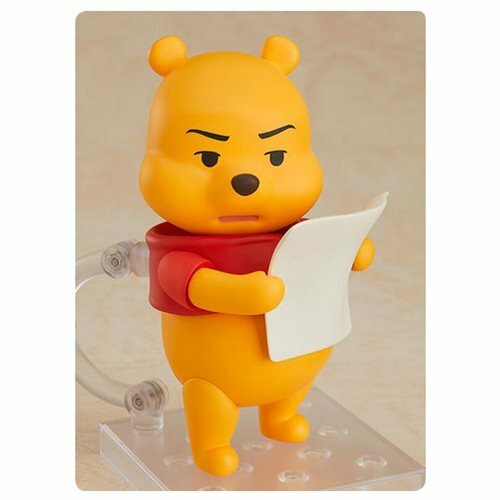 An interchangeable face plate of Pooh's puzzled expression and an optional part of Christopher Robin's note that caused it are also included. 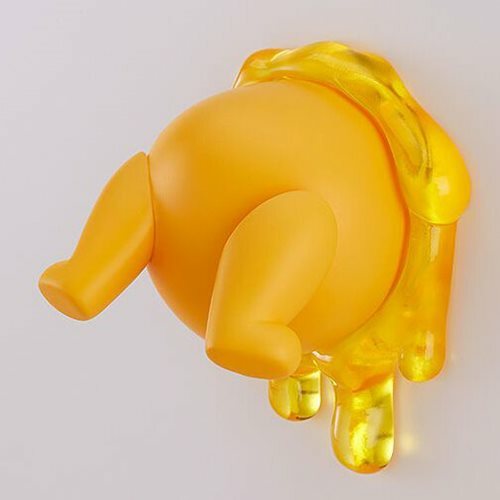 Additionally, a magnet placed in Pooh's lower half allows you to stick him to magnetic surfaces, then attach the included honey ring part to recreate the famous pose of Pooh stuck in the wall! 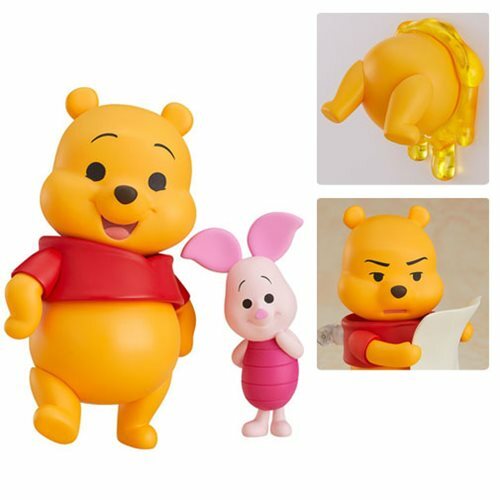 Be sure to add the adorable Pooh and Piglet to your collection!